Genre: Young Adult, Science Fiction, Romance. Sixteen-year-old Sasha Lawson has only ever known one small, ordinary life. When she was young, she loved her grandfather's stories of parallel worlds inhabited by girls who looked like her but led totally different lives. Sasha never believed such worlds were real - until now, when she finds herself thrust into one against her will. To prevent imminent war, Sasha must slip into the life of an alternate version of herself, a princess who has vanished on the eve of her arranged marriage. If Sasha succeeds in fooling everyone, she will be returned home; if she fails, she'll be trapped in another girl's life forever. As time runs out, Sasha finds herself torn between two worlds, two lives, and two young men vying for her love - one who knows her secret, and one who thinks she's someone she's not. 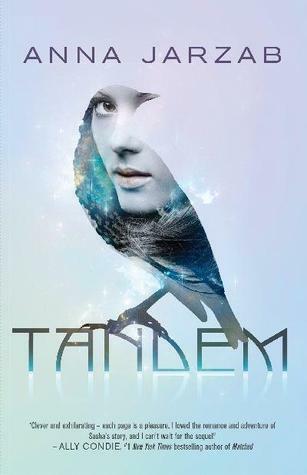 Tandem is a riveting saga of love and betrayal set in parallel universes in which nothing - and no one - is what it seems. I bought Tandem around this time last year while I was down at the beach for the weekend. I’d never heard of it before but the beautiful cover drew me in. Of course, I bought it and then it sat on my shelf unread for a year. Basically, that was stupid. I don’t think I’ve ever managed to finish a book with parallel universes in before – I usually find them too confusing or just not interesting enough. This was different. It just hit me right in the feels. It was exactly what I needed it to be, especially since I’ve been feeling a bit slumpy after a trail of dnf’ed books. 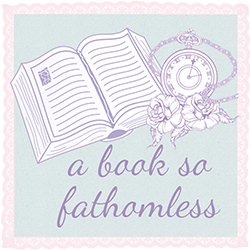 I wasn’t sure that I was going to like this – the first little bit was slow and it just wasn’t capturing my attention. I pushed on though, and I’m glad I did because I fell in love with it very quickly after that. I don’t really know how to describe what I loved about this book. I can’t pick out what aspects made me love this more – it was a collection of them all. I loved the characters (and hated some too! ), the plot was amazing and the world blew me away. Add all those things together and damn!